Went to the San Jose Super ToyShow today. I went partly to entertain my daughter and partly to browse for toys. The last few shows have been short on interesting finds so I didn’t have a lot of hope for this one. 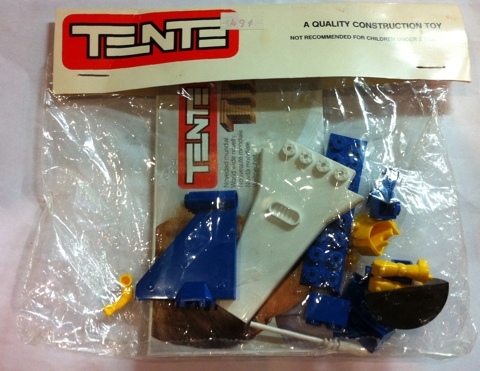 Just as we were leaving, though, I looked in a $1 bin and saw this Tente mini-set. I couldn’t believe I found such a cool toy AND that it was a buck. I have come across a number of Tente sets over the years, but have never seen a mini-set like this. Can’t decide whether to open and build it or keep it sealed. Previous PostHoly batman’s buttons! 4 months = no updateNext PostCommodore 64 is Back!